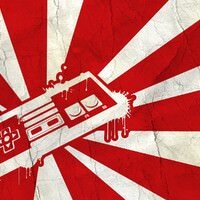 Nowadays, Metroidvanias are all the rage with indie developers, all attempting to offer up their own unique take on the genre. Sometimes it works and sometimes it doesn't, but there's something to be said about the power of simplicity and just going back to the basics. Xeodrifter is a game that plays it straight with the that open-ended formula, offering up a focused, concise experience that hits all the notes it needs to, even if it comes off as being considerably more barebones than its peers. The story of Xeodrifter sees the titular character flying their spaceship through the stars, only to have it crippled when a meteor strikes. You then must travel between a system of four planets, running, jumping, and shooting your way through hordes of aliens as you search for a warp core to replace your damaged one. Along the way, you’ll pick up several upgrades that grant your character meaningful bonuses in traversal and combat. 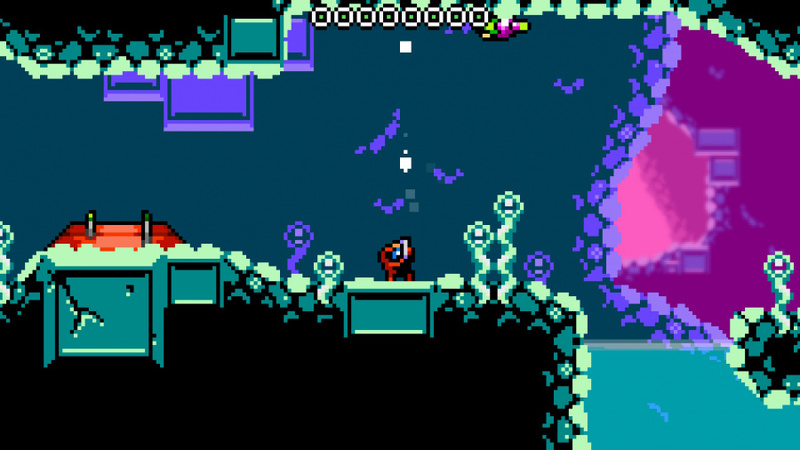 Gameplay in Xeodrifter follows the tried-and-true Super Metroid formula, doing little to expand on it, but showing mastery of what makes the genre great. Controls are a little loose, but the gunplay and platforming still manages to feel rock solid and is an absolute blast to tackle. There’s a near perfect mixture of platforming challenges, combat, and backtracking here, with the flow of the game taking you around the four planets at a brisk and exciting pace. Memorizing enemy patterns and snagging new upgrades feel quite satisfying, and you’ll frequently find yourself looking ahead to the next thing you can do. Each boss you defeat will drop another upgrade that allows you to access more of the map than before, and you can also pick up health and gun upgrades to augment your combat performance. 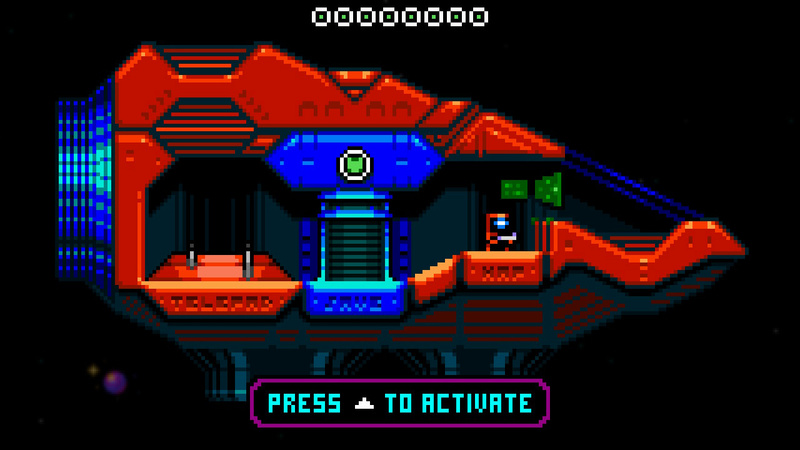 The gun modification is one of the stronger aspects of Xeodrifter, offering you an RPG-lite way of controlling the character’s offensive options. You can invest gun upgrades into shot speed, power, spread, range, and reach, which leaves plenty of room for mixing and matching of attributes to meet your playstyle. It’s a bit of a shame that the enemy resistance seldom demands that you switch up tactics, but the customization aspect nonetheless adds a little bit more scope for replay value on subsequent runs. Level design of the planets is well thought out, though they can tend to feel a less mazelike than one would expect from a Metroidvania. Exploration is still encouraged and backtracking to other planets after getting an upgrade almost always yields new results, but there’s a lingering sense of linearity to the experience that stifles one’s sense of freedom somewhat. Each planet is essentially composed of a couple loops of corridors with a few secret passages scattered here or there, which means that it’s next to impossible to get lost or find yourself stumbling upon an upgrade by accident. 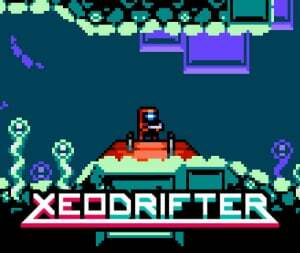 Some might appreciate this stripped back approach, but let’s just say there are a lot less surprises in Xeodrifter than you might expect to find in a game in this genre. From a presentation perspective, Xeodrifter is top-notch, demonstrating the concept of design by subtraction quite well. The HD 8-Bit art style is demonstrated to great effect; managing to capture the look and feel of a retro game while retaining cool elements that only modern hardware could manage. Though environment design tends to get a bit repetitive, there’s plenty of color and smooth animation here that keeps things visually interesting. Similarly, the sci-fi soundtrack matches the theme perfectly, capturing a sense of mystery and wonder quite well. The Switch version also features HD Rumble support, which is utilized to a greater effect here than you might think. Whether it be a missed shot impacting a wall or the rumbling of a submarine engine, you can feel just about every single kind of movement that happens on screen, which helps to significantly increase the immersion factor. One of the most significant criticisms we have with Xeodrifter is that it feels a little too stripped back for its own good. There’s only a handful of enemies to fight across the entire game, and every boss fight consists of battling a palette swapped version of the previous boss with a little more health and one new attack. Couple this with the straightforward level design, and you’ve got a rather predictable open-ended platformer that can be cleared 100% in around three hours. Now, those three hours are a joy to play through while they last, but it feels like a bit of a let down when the credits roll and there’s nothing more to see. Xeodrifter has all the elements it needs to be considered one of the greatest games in the genre, but there simply isn’t enough content present to hold one’s interest for very long. 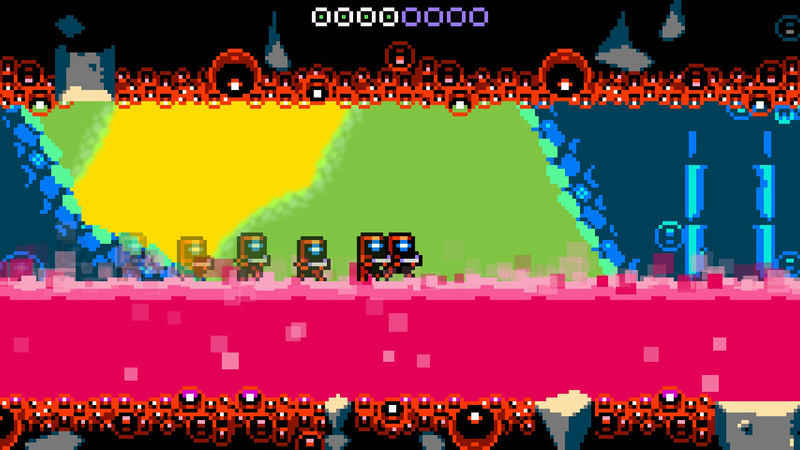 Xeodrifter is an interesting game, in that it’s both easy and difficult to recommend. The upside is that this is a finely crafted Metroidvania that oozes quality in almost every fashion, but the downside is that there just isn’t a whole lot to it. If you’re looking for a simple, straightforward open-ended platformer that’s easy to get into (or one that’s good for speedrunning), this is the game for you. If you’re looking for an in-depth experience that you can really sink your teeth into, this certainly isn’t. We’d generally give this one a recommendation - it’s a great ride while it lasts - but just bear in mind that it won’t last you long. That lack of depth is dissaponting. Still, looks like a good game. I'm good, I've got way too many Metroidvanias already. This game was a delight when I played it on 3ds. I highly recommend it to anyone who missed it the first time around. Another gem in Jool's Atooi crown. I loved it all except that it was too short. I collected everything in the first run through and I spent about 3 hours I think .... maybe 4 or 5. I don’t remember. Kind of a blur. BESIDES THAT, it’s really good! Oh look, another indie metroidvania title that looks like it could run on the NES. Never seen that before! Or rather, haven't seen that since... like last week. Oh look - another one - lol! Cant wait to come home and use up what little free time playing this on my 47 inch TV. By the time Ys8 shows up at my house it is going to seem like the best game ever made. "Oh look, another indie metroidvania title that looks like it could run on the NES..."
@frogopus @GC-161 Hey, I am not saying they shouldn't make it, or that it's bad. But we have been getting a LOT of these over the last few months. @Heavyarms55 maybe but this game originally came out a few years ago. @Heavyarms55 I'm just being a donkey's rear. The reason we're seeing so many is that we're getting the last ten years worth of PC indies rapidly ported over to the gold rush of the Switch. This is an older title. @frogopus I guess that is fair enough. I wouldn't say you're being an... that(I think the mods frown on that sort of language though I personally don't care), I assumed you were mostly just being sarcastic. I loved this game on the 3DS, as short as it is. It made wonderful use of the 3D gimmick when the action shifts to the background, which will sadly be lost on the Switch. I'd definitely put this on the "Buy it on sale" pile. @frogopus The plus side, though, is that the devs who plan to release new games on the Switch who have already released a port or 2 will have gotten their feet wet allowing them to develop their new game faster than if they'd gone into Switch development blind. I feel like I beat this game on 3DS. But the fact that I can't remember makes me think I didn't think this game was worth all that much. In my opinion if there was any more to it it would be hard to recommend. Its short length and lack of padding make it a pleasure to play. It respects your time. I picked up an early code and spent most of last night playing this. It really is a very good game. It is fairly short, and doesn't overstay it's welcome. Other than that, its very polished. Some of the later boss fights are pretty tough, but they're fair. The HD rumble implementation is very cool, probably the best I've seen on the system. If you're into Metroid style games at all, I'd say this is pretty easy to recommend. Well worth the price. That’s the one of the best Renegade Kid games and that’s still not saying much. The lack of content and lack of replay value is infuriating in this one. Missed opportunity. I really enjoyed this game I think on my vita I got at least 10ish hours out of it so if you like that dollar per hour played type of mentality there should be enough here, plus I thought it was just a fun overall bitesize metroidvania. It’s so short! I think the best version is on 3ds. At least you have this cool 3D depth. @LastKong 20h?? Sorry, but you can complete Axiom easily in 8h?!? I like both Games. Doesnt matter to me how long you have to play as long as the game is a masterpiece like these two.